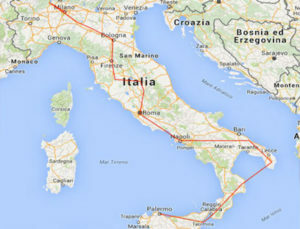 Italy Tour Operator -Discover the Italian Tasting - I Viaggi di Chris Tour S.r.l. Arrival to Milan airport and private transfer to the hotel 4*, dinner with mixed fried lake, Polenta and zucchini, Masigott (sweet bread with candied fruit and raisins) and overnight. Breakfast, Relaxing cruise on the Lake, here you will be able to have a grand panoramic view of the pre-alpine glacial mountains roundabout. We will be cruising on the western shoreline for a better view of the most famous villas, such as Villa d'Este, Villa Grass and the celebrity George Clooney's Villa. Lunch in a local restaurant with a typical menu: tasting of polenta uncia with vegetable, soused fish, Miascia (italian cake made by stale bread and fruits). Transfer to Milan, accommodation and overnight stay. Breakfast, walking guided tour: Sforzesco Castle Grounds, Duomo Square with its magnificent gothic Dom, the Galleria Vittorio Emanuele and La Scala Opera House. Lunch in a local restaurant with a typical menu: cutting board with smoked dried beef, beef, equine and venison bresaola, Saffron risotto (Milanese style), Apple fritters. Shopping during the afternoon walking in Via Montenapoleone. Visit of a cheese factory tasting Fontal, goat, cow’s milk cheese and lactic coagulation, all served with dried mushrooms. Dinner in a local restaurant: appetizer at Milanese style (Felino Salami, coppa, ham, nervetti, pickles and beans, Frog Leg Stew (Guazzetto di Rane), Wiener schnitzel, fruit. Overnight stay. Breakfast and departure for Parma, the city of music, which gave birth to Toscanini and home to the Royal Theatre, where even the most famous artists are afraid to perform. Walking guided tour to visit: the cathedral, the Baptistery , Pilotta Palace, Royal palace of Colorno. Lunch in a local restaurant to taste: culatello and Parma ham known also by the less experienced thanks to the rosy color and sweet and delicate flavour; Shoulder ham, fiocchetto and Felino salami. Free time in the afternoon. Stop in a cheese factory to taste the famous cheese “Parmigiano Reggiano” that has very ancient origins. Boccaccio in his Decameron he praised the taste and cited as an ingredient suitable for seasoning macaroni and ravioli. It is still one of the healthiest foods and complete of our table. You can attend to the most significant processing phases with a guided tour in an Emilian dairy. Hotel accommodation, dinner and overnight stay. Breakfast and departure for a visit to the town of Castelvetro di Modena, with the characteristic checkerboard flooring, churches, towers and ancient palaces. Stop to taste the Lambrusco Grasparossa accompanied by Parmigiano Reggiano DOP, Traditional Balsamic Vinegar of Modena and Prosciutto DOP within a gourmet boutique of taste. Sensory journey inside a vinegar tasting kept inside an old sixteenth-century Tower to discover the secrets in the production of black gold. In the afternoon transfer to Maranello for visiting the Museo Ferrari in Maranello to live the dream of the Red in a unique and engaging experience. Come back to the hotel for dinner and overnight stay. Breakfast and departure for Bologna, guided tour of the city passing Palazzo dei Banchi Vignola, you go into the historic area of the "middle market", a network of narrow streets, almost all named according to the category of artisans or vendors that occupied them (Drapperie, Degli Orefici , Clavature, Old Fish). These streets are a feast for the eyes and the palate: a riot of colorful vegetables and ripe fruit. 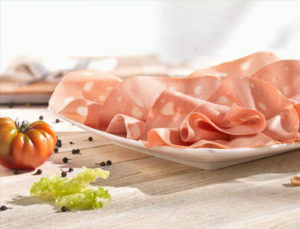 We can admire in the shops the triumph of the local gastronomic specialities, from pasta (tortellini, lasagne, tagliatelle, ravioli filled with ricotta cheese and vegetables) to salami (especially mortadella) and ending with the most tasty meat of the traditional boiled. 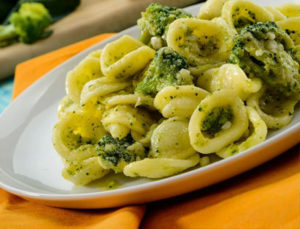 Our tour will take us in various workshops to learn how to recognize the best products and handmade pasta, and to make small tastes of the city's specialties, from Parmesan cheese to balsamic vinegar. You can conclude the morning visit with a typical lunch in a downtown restaurant. During the afternoon continue of the guided tour of the heart of the city from Piazza Maggiore, the Basilica of San Petronio, the Neptune fountain by Giambologna and towers, including the world-famous Tower Asinelli and its unfinished twin, the Garisenda. Come back to the hotel, dinner and overnight stay. Breakfast and departure for Florence, meeting with a local guide and walking tour of the city starting with the visit to a typical Italian bar in the center of Florence where you will have the unique chance to taste two different types of the Italian coffees and learn more about this tasty product. Stop in one of the most respected deli shops in Florence, founded over a century ago to taste one of the most special products in the city, the "panino tartufato" delicacy. Continue the visit with the San Lorenzo Central Market, where you can taste the “Schiacciata Fiorentina” typical sweet in Tuscany. You will get the opportunity to taste some delicious local products, including balsamic vinegars, extra virgin olive oil, two wines types and "crostini". Stop in a local "Enoteca", where you can enter the world of the Tuscan wines, with two precious types of wine, traditional cheese and local cold cuts. You will also have the chance to learn more about these truly authentic products of Florence and Tuscany. 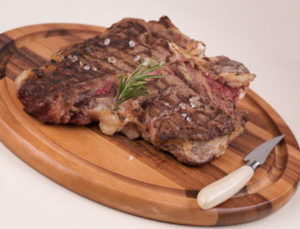 Hotel accommodation and Dinner in a local restaurant to eat the famous “Fiorentina meat”. Come back to the hotel for the overnight stay. After breakfast, guided visit of the city to admire: the Academy to see Michelangelo’s David and the Prisoners; the Cathedral Square, unique complex of buildings (Duomo, Baptistery and Bell tower. We continue the visit with the main square, Piazza Signoria, the Palazzo Vecchio (the Old Palace), the Uffizi Gallery, with its unrivalled collection of Renaissance art. Lunch and departure by private bus for Chianti hills, a beautiful region famous for its excellent red wine. Starting from the north, take the Via Chiantigiana (SS222) and stop in Greve in Chianti to explore its peculiar shaped square and all of the shops in its perimeter. Visit the Wine Museum to taste over 200 wine labels of the region, continue along to Panzano in Chianti, stopping to walk along its ancient city streets and take pictures of the hamlet, then on to Castellina in Chianti to walk around the small center and through the city walls. Wine tasting in this region is obligatory, there are wine shops in each town, but also signs along the road will signal wineries and their shops where you can taste that estate's wines. Come back to Florence, dinner in a local restaurant with a typical menu. Walking along the Arno River to admire the famous Ponte Vecchio, the only bridge on the Arno that wasn’t destroyed in World War II. Overnight stay in the hotel. Breakfast, and departure by private bus for Perugia to visit the city with beautiful art, fascinating historic sites, and delicious local delicacies like black and white truffles, artisan chocolate, salt-cured meats, and wild game. Walking guided tour to see: the monumental Piazza IV Novembre, the beautiful medieval Fontana Maggiore and the wonderful Palazzo dei Priori. Lunch with a typical menu. Visit of the famous “Perugina museum” and you have the opportunity to enter into the magical world of chocolate discovering curiosities and anecdotes about the history of the company. The tour include tasting of products. Transfer to Assisi, hotel accommodation, dinner and overnight stay. Breakfast and departure by private bus for Assisi, guided tour of the city and of the Basilica of St. Francis. 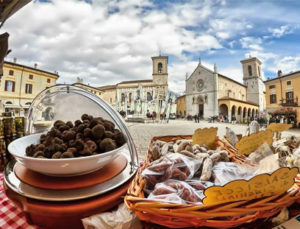 Transfer to Norcia for the lunch to taste salami of Norcia and dishes with the Norcia truffle. At the end of the lunch transfer to Rome, hotel accommodation, dinner and overnight stay. Breakfast, meeting with our local guide in the hall of the hotel, departure by private bus to visit Rome city centre. Visit to: Basilica of St Peter, Sistine Chapel and Vatican Museums. Lunch with a typical menu to taste the savory Roman cuisine: crostini with Anchovies, “Bucatini all’Amatriciana”, Roman-Style Tripe, “maritozzi buns” fluffy and delicious sweet rolls stuffed with whipped cream. In the afternoon continue of the guided tour of the city: Trevi fountain, Piazza Venezia, Piazza Navona, Campo dei Fiori and the Pantheon. Dinner and overnight stay in the hotel. Breakfast and departure for Naples, guided walking tour of the city. The tour starts in the Monumental Naples with the Castle Nuovo, the San Carlo Opera House, the Umberto I Gallery, the former Royal Palace, and the San Francesco di Paola Church. In about 30 minutes you will reach the National Archaeological Museum, here Charles of Bourbon established the museum in the late 18th-century to house the Farnese collection he inherited. Lunch with a typical menu: Steamed Mussels and Clams, Scialatielli with seafood, fried prawns and seafood, babà. In the afternoon free time for the shopping or for sithseeing tour. Dinner in a pizzeria to taste the famous pizza of Naples. Hotel accomodation and overnight stay. Breakfast and departure for Alberobello to soak up the atmosphere of this fairytale village with its characteristic trulli, unique in the world architectures with conical roof in dry stone, without the use of mortar. Lunch with a typical menu: cold cuts, Orecchiette with turnip greens, Mixed Grilled Meats, bagels (taralli). Transfer to Lecce and walking tour through the streets of the old town of Lecce known as the Florence of the South for the richness and beauty of its architecture. Its historic center is full of testimonials ranging from ancient Rome to the splendor of the Baroque. We will visit the amphitheater and the Roman theater, its beautiful squares (Piazza Duomo and St. Horace), the Basilica of Santa Croce, its buildings and some of the other Baroque churches, the castle of Charles V. Dinner in a local restaurant with a typical menu, dishes of the culinary tradition of Lecce. It starts with typical appetizers, followed by delicious pasta (Ciceri e tria, sagne 'ncannulate) and tasty seconds (broad beans and chicory, turcinieddhri, horse meat), to close with a tasting of homemade desserts all accompanied by oil and wine of Salento. Hotel accommodation and overnight stay. Breakfast and departure for the Sicily. Stop in Cirò (Calabria region) to visit the famous castle “Le Castella”, ancient Aragonese castle settled on an island connected to the coast by a thin strip of land, continue for Reggio Calabria to visit the famous museum of Riace bronzes and for the lunch with a typical food: starters with choice of Calabrian tastings, tonnarelli with eggplant and 'nduja, grilled Calabrian sausage with roasted potatoes, homemade dessert “bocconotti” . At the end of lunch shipping for Messina, stop in a pastry shop to taste the typical dessert of the city “Pignolata glassata”. Continue for Taormina, hotel accommodation, dinner and overnight stay. Breakfast and excursion to Etna to admire the famous volcan at an altitude of 2000 mt, walking guided tour along the millennial Silvestri Craters from which you can enjoy a splendid view of the Ionian Sea from Calabria to Syracuse. Typical lunch: carpaccio of Nebrodi black pig with Sicily Citrus, Ravioli with Pistachio cream and smocked scamorza, delicious roulade, Semifreddo with almonds, chocolate and pistachio. In the afternoon departure for Palermo, hotel accommodation, dinner and overnight stay. Breakfast and walking guided tour to admire the historic attractions that you will encounter along the tour: Verdi Square, Cape market, the Church of Immaculate Conception, St. Augustine's market, Vucciria market, Quattro Canti, Piazza of Shame or Pretoria, Piazza Bellini, Ballaro Market and the Cathedral. Continue of the tour to taste the best street food of the city. You taste five different foods from the street as the Sicilian pizza, the fritters and croquettes, arancini and the bread with the spleen. 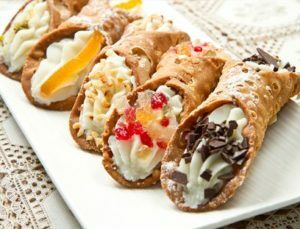 You will taste the inevitable Sicilian cannoli. During the walking tour you will be offered soft drinks. The culinary specialties will be consumed at the best friggitorie, street vendors and taverns Palermo, all unknown places of mass tourism. Dinner in a local restaurant with a typical menu: Sardinian warbler, pasta alla norma, “ghiotta salt cod”, Eggplant caponata, Sicilian lemon granite. Come back to the hotel and overnight stay. Groups size: min. 40 persons.